This 10-acre site was remodeled and upgraded between 1989 and 2005. The manufacturing spaces and semiconductor fabs were built and extensively remodeled. Later the site was improved to become global headquarters for many Philips business units. 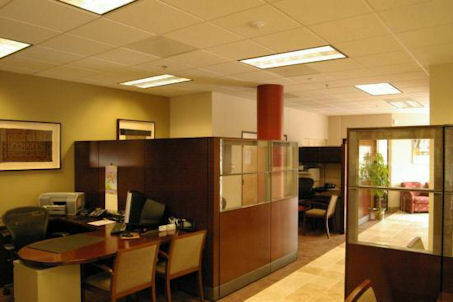 Completed the renovations of Palo Alto headquarters of the surgical device company Coapt. The work scope accounted for construction of 18,000 square feet in offices and lab spaces, including two clean rooms, surgical suites, a shipping and receiving depot, inventory control sites, a break room, and multiple ventilation features. Provided construction and remodeling services, including the coordination and installation of a research MRI machine. Construction of media development studio for Microsoft and Moxi entertainment. The project consists of a complete demonstration video lab with multi-suite evaluation labs. UBS is involved in high profile retail, developing and building sites for clients such as Design Within Reach. Our partnering with Gensler Architects has resulted in a very prominent retail boutique in Palo Alto, California. Work scope has included construction of a 7,000 sq. 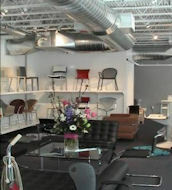 ft. retail store: completing all interior finishes and installation of new exterior custom designed glass wall systems. Foundation restoration of the Exploratorium, ground-up construction of a new retail store, fast track construction of a new theatre for global live broadcasting, and construction of a retail ticket office and backroom office areas. Construct and renovate new congregational activities center including restrooms and related ADA improvements. Complete renovation of an existing 20,000 s.f. 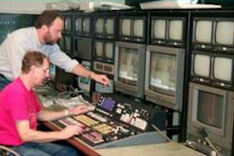 industrial building into a state of the art digital media development center. 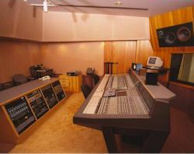 The project includes four Media development Cafes, working video and television studios and duplication galleries featuring the latest in recording and production techniques. 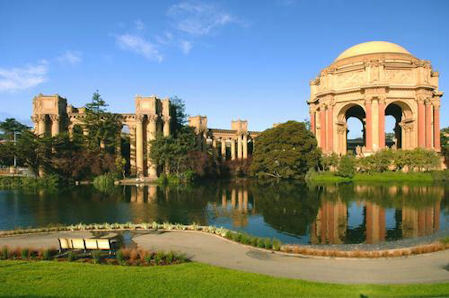 The site transformation will set a new standards in energy efficiency, seeking a prestigious Gold LEED Certification. Construction of new district television studio production facility. The intended use is for district productions and a hands on learning experience for the students. The campus site contained two 120,000 square foot 3-story office buildings and. 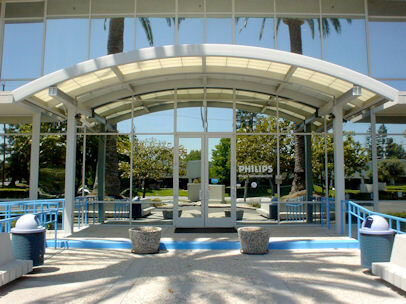 The improvements were built-to-suit for the highly technical needs of Philips Semiconductor Group, the projects incorporated sophisticated inter-connected lighting, electrical, and HVAC systems, sub station power. Construction of multiple lab spaces, renovation of the primate surgical center, and extensive remodeling at the UCSF Parnasuss and Mission Bay campuses. Construction of over 15 home mortgage offices and new bank sites including, but not limited to, all interior finishes, electrical, mechanical, and data. room. Various security system upgrades. Building of a new 46,000 sq. ft. E‐Commerce facility including structural renovations, classrooms, open office areas, MEP, lobbies, and restrooms, and ADA upgrades. Complete remodel of all interior classrooms, therapy facilities, kitchens, administrative offices, electrical, mechanical, plumbing, ADA upgrades, and all related finishes. for San Clara’s transportation department. The project included vehicle lift installation, compressor systems, and wash stations. Wells Fargo projects include: San Francisco, Oakland, San Rafael, Hayward, Palo Alto, San Mateo, San Jose, Hollister, Willow Glen, Monterrey, and Fremont. Provided Class A tenant improvements to construct offices in an existing facility. Three phase expansion of financial offices and conference rooms. First phase created 14 new private offices and admin space. Second and third phase included remodel of 16 existing offices, conference rooms and admin space. Phase two work was in occupied space and required coordination with local management and financial advisors. to, employee locker facilities and adjacent areas. Provided security and service upgrades to over 18 substations and electrical service facilities. exististing Palo Alto office building. Preferred Contractor for the city of San Mateo’s SMALL HOME REPAIR PROGRAM. Providing free home repairs and energy efficiency enhancements to residential properties belonging to income qualified San Mateo homeowners. Construction of five self‐contained, prefabricated, procurement office buildings that were air freighted to Saudi Arabia in support of US Naval efforts in the Persian Gulf. Construction of new break room with kitchen cabinets millwork and appliances, The scope included electrical, plumbing, drywall, painting and flooring. Renovation of Terminal A, heating and ventilation systems including but not limited to related interior finishes. Construction of testing facilities, a new factory for global manufacturing requirements, and design and renovation of multiple buildings. Construction of offices, data facilities, and mechanical upgrades to the headquarters building. 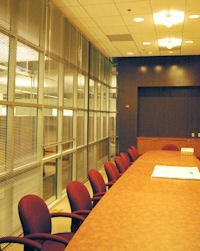 Project specialization included extensive acoustic dampening for the offices and data center. Level 5 security conference center for the Tomahawk Phase 2 program. Design and renovation of the new TI Design center in Palo Alto, CA. Construction of data centers at three separate building sites. Press building expansion and interior renovations including extensive seismic, structural, and ADA upgrade work. Interior and exterior construction of a plastics manufacturing plant and related offices. Construction of testing facilities, a new factory for global manufacturing requirements, and design and renovation of multiple buildings. The improvements included all aspects of class A office space and class 10 clean rooms, data centers, fabrication and test floors as well as high-end interior furnishings, athletic rooms, cafeterias and multiple public space areas creating a noticeably professional atmosphere throughout. Construction of a new 40,000 sq. ft. corporate headquarters building. Fast tracked and completed in less than 16 weeks including design, permitting, and construction. This project included structural renovation as well as all interior finishes. facilities. Provided ADA upgrades to the headquarters site. Tenant Improvement that had multiple phases in order to work around existing tenant. Included demo, millwork, glass, window film, drywall, acoustical ceiling, painting, flooring, fire sprinklers, plumbing, HVAC, fire life safety, and electrical. Design, fabrication, and installation of over 100 modular offices. Construction of clean rooms for advanced products testing. Design and construction of over 225 offices for engineering staff and technical support personnel. Construction of a cafeteria and computer assembly facility. Construction of insect research laboratories including dry and wet lab components. Renovation of the headquarters annex building. Renovation on multiple floors of classrooms, faculty offices, optics laboratories, television studios, Ada restrooms, asbestos abatement, steel structure seismic upgrades, drywall, acoustical finishes, new mechanical, and electrical services. Construction of a new video production studio including all AV design and implementation. Building of new interior offices while maintaining functionality of an owner occupied facility. Construction of new interpretive art presentation center. Complete build-out of Starbucks Restaurant including food prep, serving and public space areas. The work included, Ada restrooms, HVAC and plumbing, custom millwork, stainless counter tops, tile, marble finishes, painting, flooring, walls and acoustic elements. Complete build-out of Evita's Restaurant including kitchen, HVAC and plumbing, custom millwork, tile, marble finishes, painting, flooring and an extensive lighting package. Complete build-out of Restaurant including dinning and private areas. The work included, Ada restrooms, drywall partitions, HVAC and plumbing, custom millwork, stainless counter tops, marble finishes, painting, flooring, walls and acoustic elements. Interior building renovations for a solar technology startup. Construction of general offices and software development facility including a audio]visual conference center. 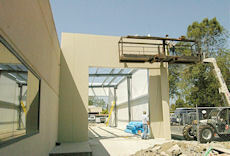 Construction of new offices and renovation of the existing building at headquarters: 529 Bryant St, Palo Alto, CA. Renovation of executive offices and construction of a secure data and design center. Alphatec Electronics Corporation Office and manufacturing space remodel and upgrade. Building of a new 46,000 sq. ft. E]Commerce facility including structural renovations, classrooms, open office areas, MEP, lobbies, and restrooms, and ADA upgrades. manufacturing facilities at multiple sites. Construction of a heavy industrial plastics injection molding manufacturing plant. Work included demolition, renovation, service upgrades, and structural upgrades in a 160,000 sq. ft. facility. Interior tenant improvement construction in multiple buildings. Building interior demolition and reconstruction of a 46,000 sq. ft. research building for the advanced robotics vehicles group. Tenant Improvement for tool fabrication and machining operation work included full demo, millwork, drywall, acoustical ceiling, paint, flooring, fire sprinklers, plumbing, fire life safety, and electrical. Construction and remodeling of a 6 building complex incorporating executive offices, production spaces, materials storage areas. Tenant Improvement including extensive demolition, millwork, drywall with insulation, door frames, hardware, ceramic tile for restrooms, floor coverings, painting, Mecho-shading, plumbing, fire sprinklers, HVAC including 11 new rooftop units with roof screens and roof patches, and extensive power systems for injection molding facility, dryer rooms for material storage, tool rooms and extensive telephone data infrastructure. Construct DSA approved steel arbor structures for students outdoor activities at multiple Menlo Park School District sites. Tenant Improvement which included demo, millwork, doors with door bottoms, drywall with double layers for sound, acoustical ceiling, floor coverings, painting, fire sprinklers, plumbing, HVAC, fire life safety, and electrical. Card reader system, security alarm system, and tele/data all included. Demolition and reconstruction of administrative offices at the Parnassus San Francisco campus. Work included walls, doors, electrical, sprinkler, fire alarms, plumbing, HVAC, fire life safety, security and phone, data. Construction of new auditory testing rooms and administrative offices. Work was performed around the existing users and completed off hours. Furnish and install in 44 class rooms a new comprehensive fire alarm system. Work included new electrical service and cafeteria upgrades, system integration and controls programming. Replacement of 165 class room doors and panic hardware upgrades. Including new windows, drinking fountains and painting. Installed new lighting systems in 14 classrooms. The lighting incorporates daylight sensors, energy management controls and teacher presentation controls. Construct classrooms for the Child development center. Each new classroom was 36ft. x 40ft. the classrooms were ground up construction with all services including, restrooms, fire alarms, sprinklers, lighting, paint carpet finishes, concrete foundations, walkways, site work and landscaping.